I’m not sure why you would need to… but if you did need to, I’ll tell you how to do it. Remember that Genie Clients are non-transferrable so you can’t sell them or even give them away, and it’s hard to imagine a client needing to get so messed up that you couldn’t find a way around it. But sometimes it happens. A few years ago there was a weird software update that caused some clients to change over to Spanish. It was pretty hard to figure out how to get them back. DON’T Do it through the menus. There is a menu option if you go press MENU then go to Settings, Reset Options you will see several options there including “Reset Everywhere.” Do not do this, If you do this on the client then it will erase everything on the Genie DVR. You really don’t want to do that, unless you do in which case you should do it on the Genie DVR. I’m not sure why you would do it on a client. On the other hand, “Reset Defaults” might not do everything you need it to do. You can try that if you want, but it may just be a few extra minutes wasted while the client goes through its steps. INSTEAD, do it with the red button. With the client on, press and hold the red reset button for approximately 30 seconds. Yes, 30 seconds. They really don’t want you doing this by mistake. This should return the client to a virgin state where you can re-add it and redo everything. 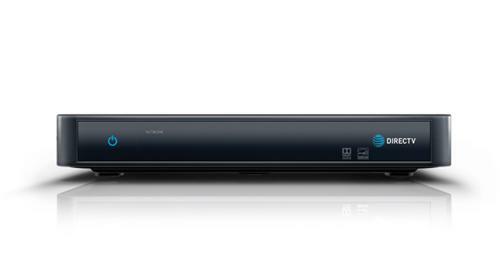 In most cases the client will just connect properly to your DVR and you can get started customizing it. If you have other clients in your home you can copy their settings. Start by pressing MENU and going to Settings, Whole Home. From there you can “Copy Settings” which will bring over your favorites lists and some preferences. A little bit of additional tweaking may be required. If you have an HR44 or HR54 Genie, you can press MENU, then go to Settings, Whole Home and choose “Add Clients.” There is a 4-digit PIN that needs to be entered on the client. For those with Genie 2 and a wireless client, you can press the Add Client button at the top of the Genie 2 and the wireless client should connect automatically. It’s pretty rare that you’d need to do this. In fact, I’m not completely sure why you would even want to do this. I would think that things on your client would have to be pretty bad to merit this step. At then end, it’s just one more thing in your arsenal. It could help you get picture on a TV when you can’t wait for a service call or a replacement receiver. If you have other questions or are interested in upgrading your DIRECTV system, give the fine folks at Solid Signal. The number is 877.312.4547.